A three bedroom villa at The Lotus Terraces. Image courtesy of Lotus Terraces. 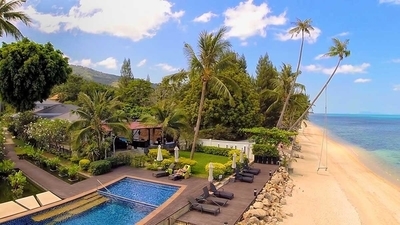 If you're heading to Koh Samui with a group or as a family holiday, the villas at The Lotus Terraces offer an amazing beachfront holiday experience. The property has only 5 villas which is ideal for those who aren't too keen on the large resort style holiday accommodation. There are two luxury 5-bedroom villas that are beachfront, each very spacious with a private spa and private gym and are manned by its own private housekeeper and private chef. 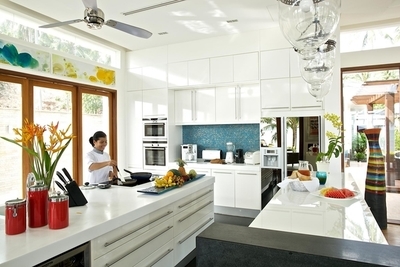 Villas include all the comforts of home- and then some- including large kitchens with private chef service. The other three garden villas have 2 or 3 bedrooms and are located just a minute's walk to the beach. All five villas have all the entertainment options you could wish for including flatscreen television, satellite tv, dvd player, internet, IPod docking stations and more. If ocean swimming isn't your thing or you enjoy sun baking in privacy, each villa has it's own private pool and all villas also share a larger 25 metre common pool that also offers ocean views. 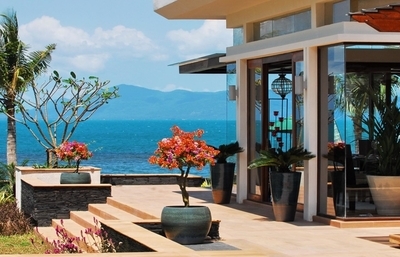 The 5 bedroom villas are beach front and offer to-die-for views. Images courtesy of Lotus Terraces. Guests are welcome to self cater in the luxury kitchens, however there are dining options available for those keen to enjoy the added indulgence of a private chef. 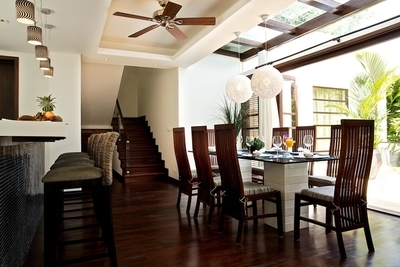 This private chef service is also free if you are booked in one of the 5 bedroom villas. Additionally, with notice, in-villa dining can easily be organised and delivered hot to your dining table. A variety of local restaurants are just a few minutes walk along the beach for guests keen to experience local fare. 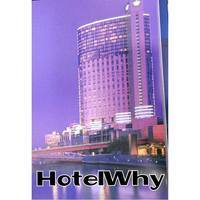 Also for more variety, the property will happily organise transportation to take you to one of the many restaurants in the area, most of which are only 10-30 minutes away. The luxury villas provide a truly relaxing holiday that feels a world away. Image courtesy of Lotus Terraces. The popular Fisherman's Village is also less than a 15 minute drive away and it offers so more lively bars and nightclubs as well as restaurants. Also weather permitting, this area becomes a local hotspot on Fridays when the street fills with market stalls selling local food and souvenirs.